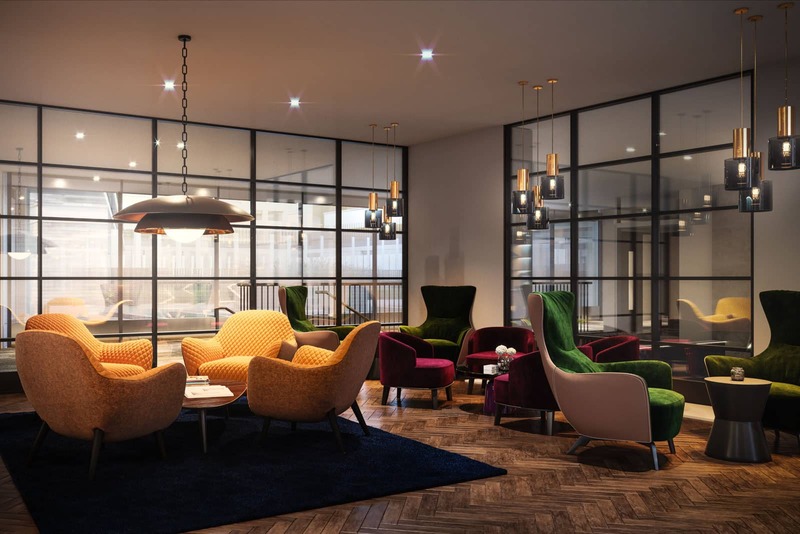 Nile Street is a development of 175 new homes, with a co-located college, tucked away from City Road between the vibrancy and dynamism of the Shoreditch area and the financial district of the City of London, providing a quiet retreat within the capital. 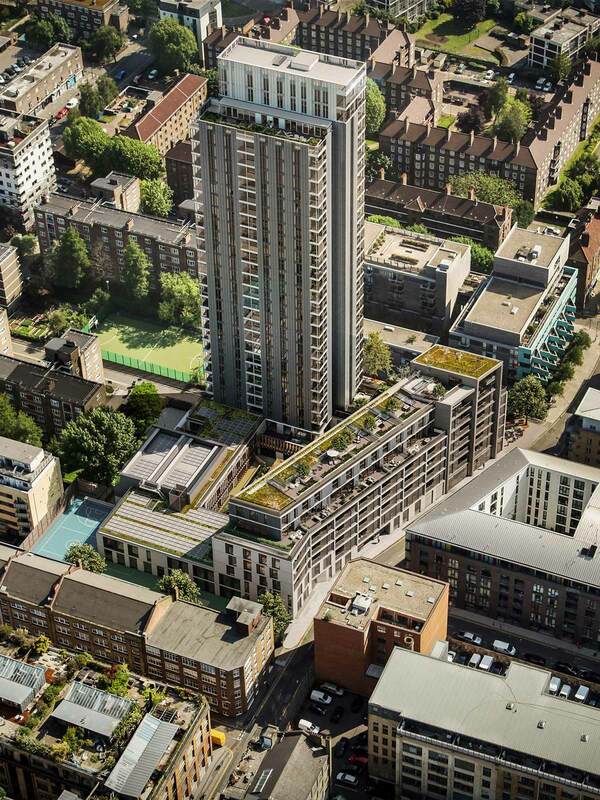 An interconnected podium and tower, reaching 28 storeys, houses five studio flats, 155 two and three bedroom apartments and a small number of family duplexes with private roof gardens. A generous provision of private communal facilities includes a screening room, two landscaped garden terraces, a gym, a treatment room and three lounges, perfect for ad-hoc meetings. The sensitive modern design conceived by Avanti Architects ensures the building responds to its environment by referencing the surrounding warehouse typology, but reinventing it for contemporary residents. 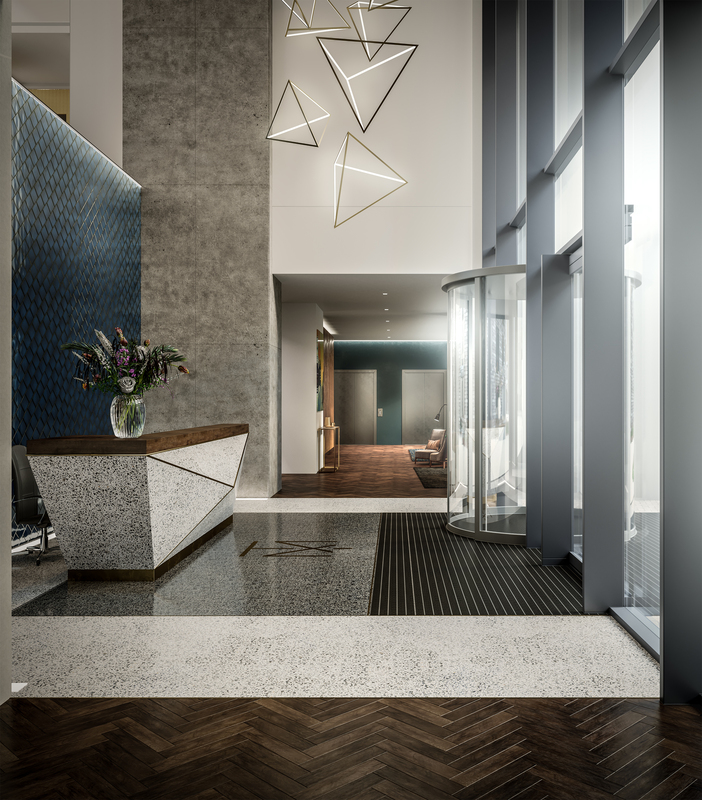 A breathtaking double-height entrance lobby hosts a 24/7 concierge, providing peace of mind, secure mail and delivery services, and access to bookable facilities. With interior design by Woods Bagot, the material palette takes inspiration from the 1920s – a stunning feature wall, terrazzo flooring, bespoke lighting, custom furniture, brass details and smoked oak chevron floors set the tone for what is to follow. Designed to foster a sense of community both inside and outside, the shared areas include a lounge where residents can welcome guests, hold informal meetings, work and socialise, a screening room for films and live sporting events, a fully equipped gym and treatment room, and 160 square metres of outside space across two communal roof gardens – landscaped by Grant Associates – perfect for summer parties and alfresco dining. There is secure storage for 335 bikes. On the ground floor there is also provision for two commercial units, as well as guest WCs. By widening the pedestrianised Jasper Walk, and adding mature trees, plants and benches to create a friendly, welcoming public space ensure the building makes a positive contribution to its local community. The 24/7 concierge for complete peace of mind. A striking double height atrium opens onto the first lounge area – a welcome space for residents, friends and clients alike. Terrazzo brushes shoulders with brass, while smoked oak floors and rich furnishings add warmth. The private first floor library lounge offers a more discreet area for residents to relax. 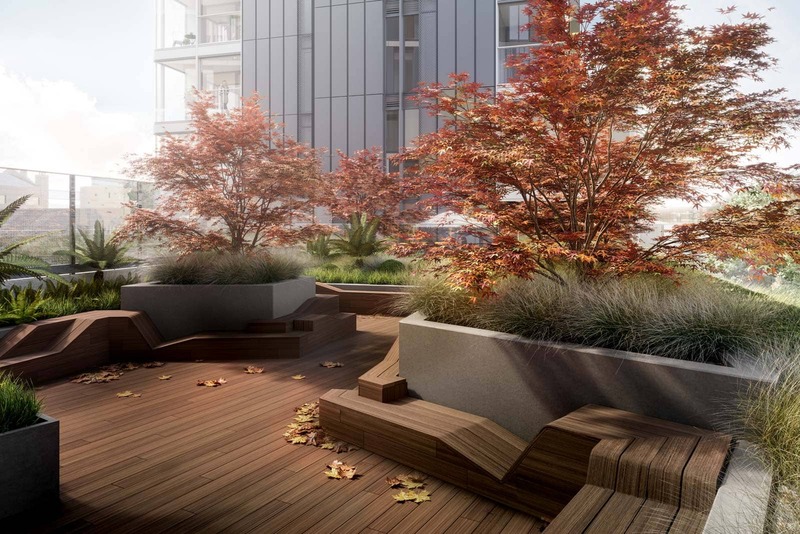 The main residents’ roof garden is one of two landscaped communal outdoor spaces, suitable for enjoying the warmer days and evenings in the capital. Mature planting and playful sculptural seating make this sheltered spot a haven of nature in the city – and a positive addition to local biodiversity. 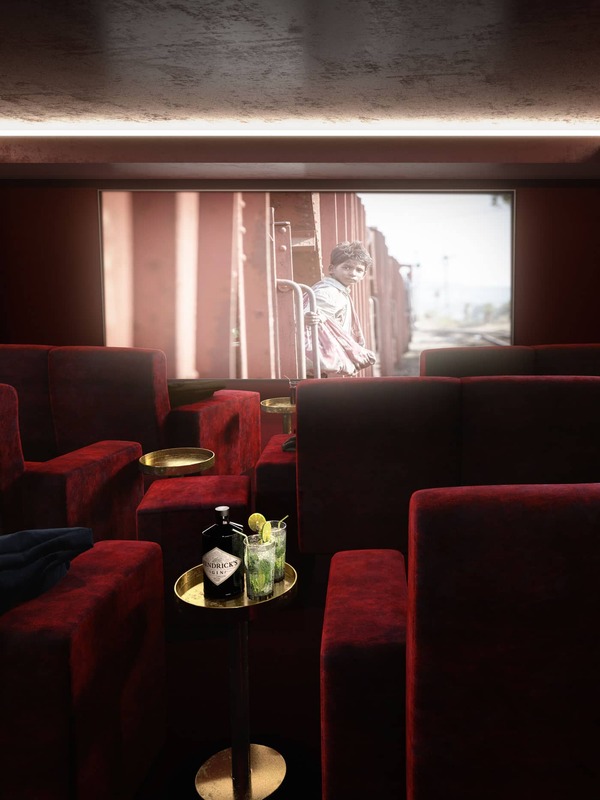 An intimate screening room can be booked for private use – whether that’s for a classic movie or a live sporting event. 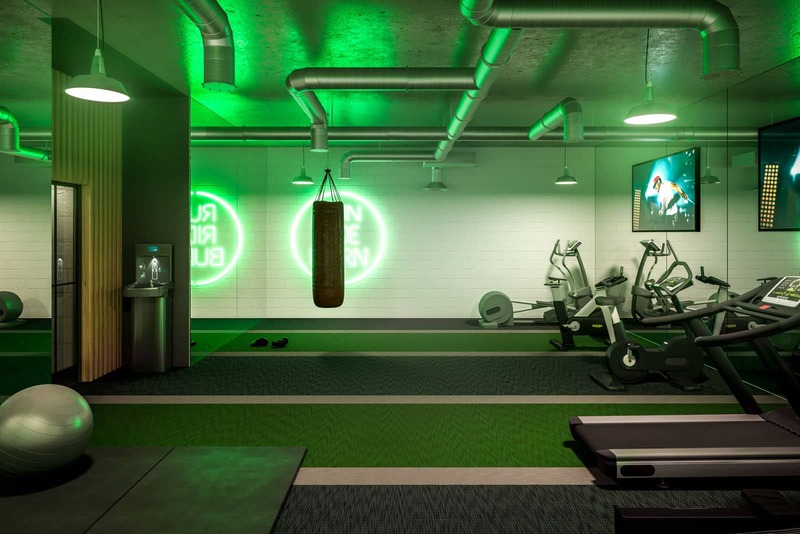 The private gym provides all the necessary space and equipment for residents to work out alone or with a personal trainer – and an adjoining treatment room can be booked for personal use. 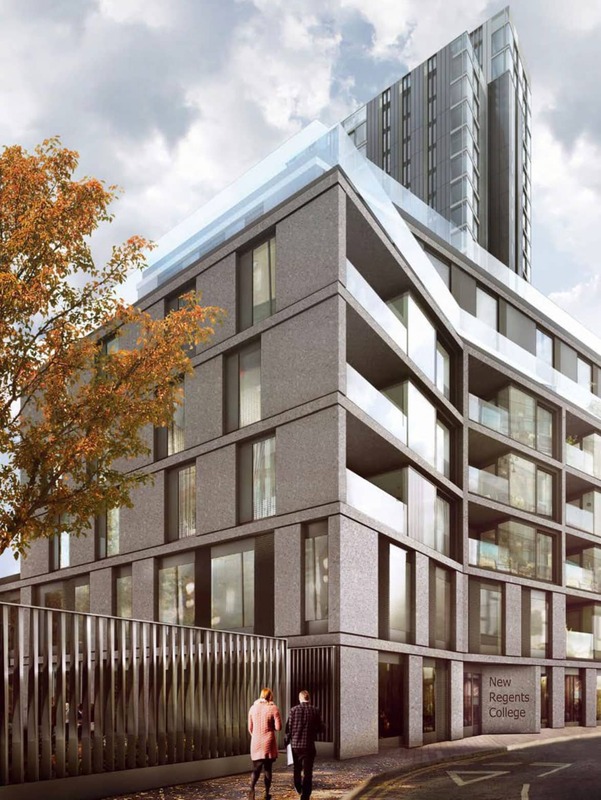 Hackney is building private for sale homes to pay for a new school and help fund affordable homes - including social housing for local people. Delivering new, state-of-the-art facilities for New Regent’s College which will provide 150 pupil places. 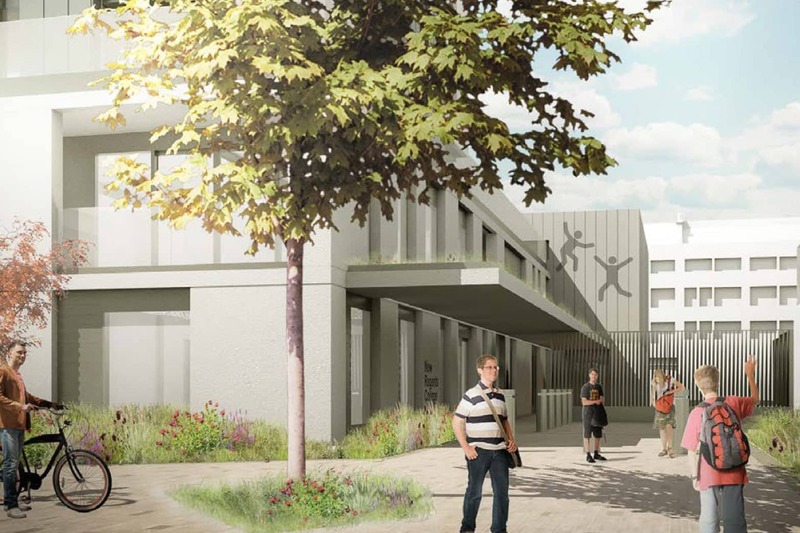 The scheme will also create new community use spaces in the school; a multi-use games area, sports hall and dance studio.